Trail cameras at Oxbow Nature Study Area capture lions, bears, deer and more. If you’re not keeping an eye on the Truckee River in Reno at night you’re missing a bunch of the action. 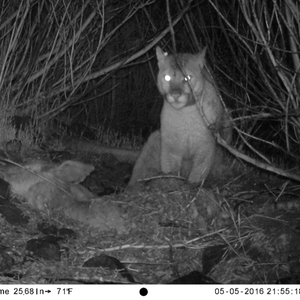 That’s why the Nevada Department of Wildlife has trail cameras operating 24-7 at the Oxbow Nature Study Area. And on Sunday they’ll be reviewing the latest films to see what sort of wildlife they’ve caught on camera. The review, which is open to the public, is from 10 a.m. to 2 p.m. at the study area, 3100 Dickerson Road. Past reviews have shown bears, deer, mountain lions, raccoons and other wildlife. The footage gives researchers more insight into Nevada’s wildlife.